Your video is featured at the very top of your Kickstarter campaign page — and needs to draw in potential backers quickly in order for your campaign to be successful. Before even starting your project, it’s best to spend time creating the video and getting it ready for upload. A polished video eases the approval process. If your video flows smoothly, has a good look and feel, and accurately explains your project, the Kickstarter review team can see that you understand the guidelines and requirements for a campaign. The video is one of the most important tools you have to get backers excited about your Kickstarter campaign because it tells a story in an easy-to-follow way and doesn’t require backers to go through lines of text. Be sure you clearly convey the primary goal of your campaign. For example, is the campaign hoping to completely fund a new fashion item and get it in stores, or provide resources to make samples for a trunk show? As you gather your raw materials, constantly think about how each element will illustrate the goal of your campaign. If it doesn’t fit, don’t use it. Even if humorous, your video needs to be professional and convey a clear message to instill confidence in your backers. An important element to consider when beginning your Project Video: Two minutes or less! Internet users, even those seeking creative projects and content, have an extremely short attention span. If you can’t tell the story of your project in under two minutes, it’s unlikely you will be able to draw backers in. iMovie: This drag-and-drop program comes standard on most Mac computers now and allows you to input video clips, photos, and music into a central file and edit them together into a finished piece. Windows Movie Maker: Part of the Microsoft suite of software often found on PCs that have recent versions of Windows and Office installed. If it is not pre-installed on your computer, you can download it from the Microsoft website. Animoto: This web-based tool enables you to create an unlimited number of 30-second videos for free, using a drag-and-drop tool. You can become a member for as little as $30/year to get access to templates and music to make videos of any duration. You then can begin uploading your raw data, such as videos and still photos. You then manipulate your video elements to tell your Kickstarter story. Music adds an important element to any video project and can create a fun, serious, energetic, or lighthearted mood. 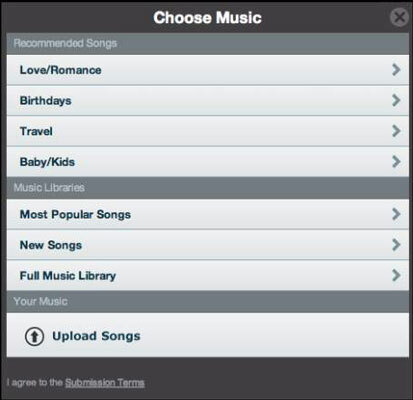 Choose a track and let Animoto match the music to your images. YouTube Video Editor does not allow you to integrate still photos like Animoto does, but it is a good tool if you already have a collection of video clips and you need to edit it down into two minutes for your Kickstarter Project Video. Picasa: Most people think of Picasa as a photography tool, used to organize and upload photos to web albums. 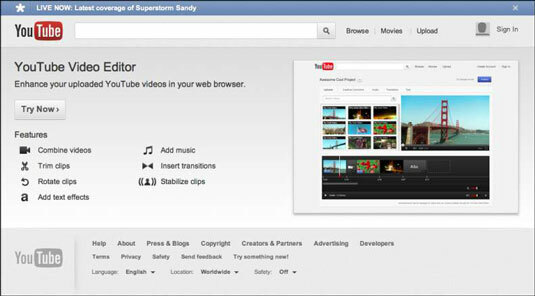 However, this tool from Google also has functions that let you make a video from just your still photos, similar to Animoto. If you don’t already have Picasa on your computer, you can download it for free from Picasa. Use your phone to film a short two-minute synopsis of the project, showing any relevant visuals, details, or project elements. You will not be able to edit, manipulate, or change this video; you will have to shoot it in real time, exactly as you would like it to appear online. To save the video to your computer, sync your phone with your computer or e-mail the video file to yourself. You want to make sure the video displays well on a computer, has understandable audio and appropriate lighting, is filmed with a steady hand, and includes all the content you planned. Upload the video when you come to that part of your project’s development.